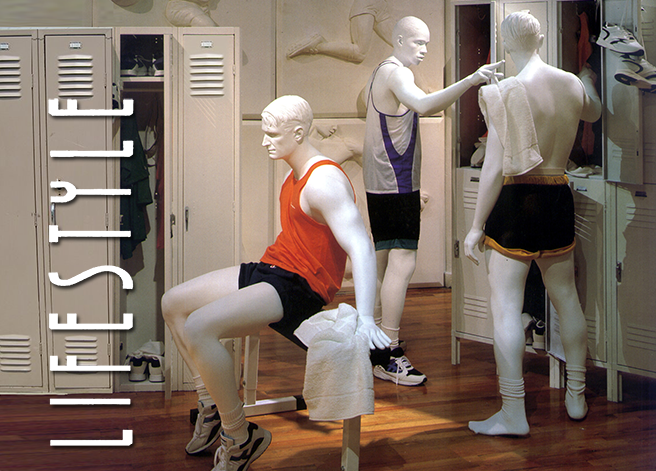 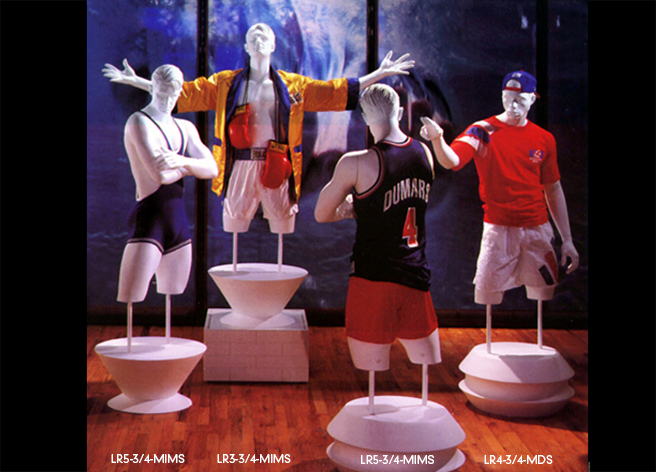 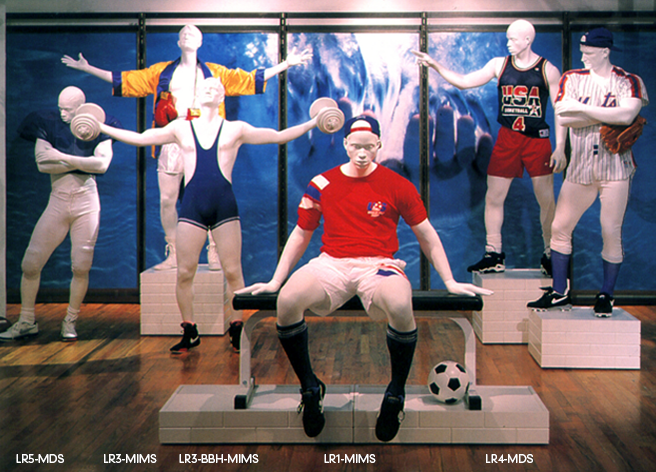 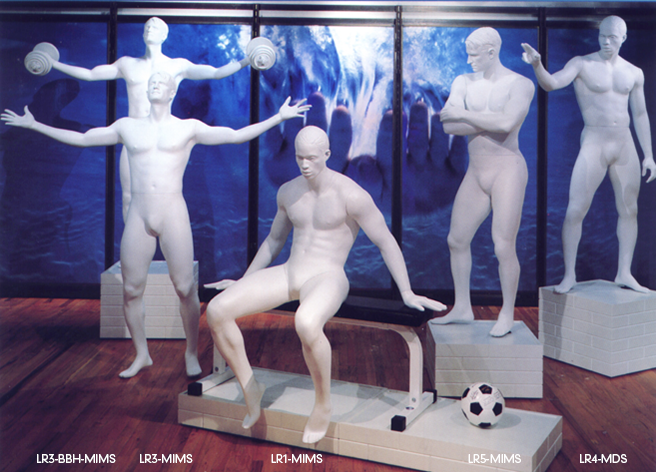 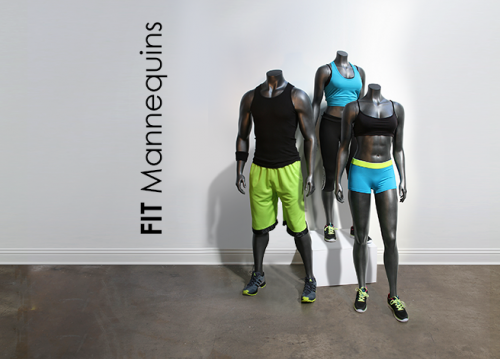 Large sized sports male mannequin line, offers five exciting poses to showcase an athletic swagger and attitude. 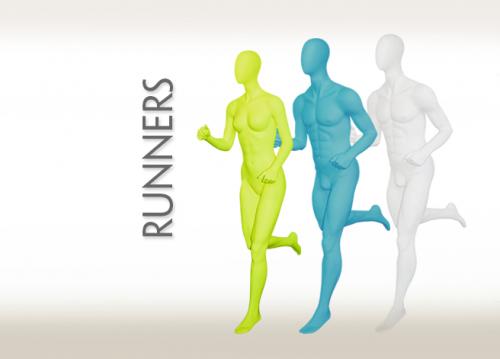 3/4 forms available. 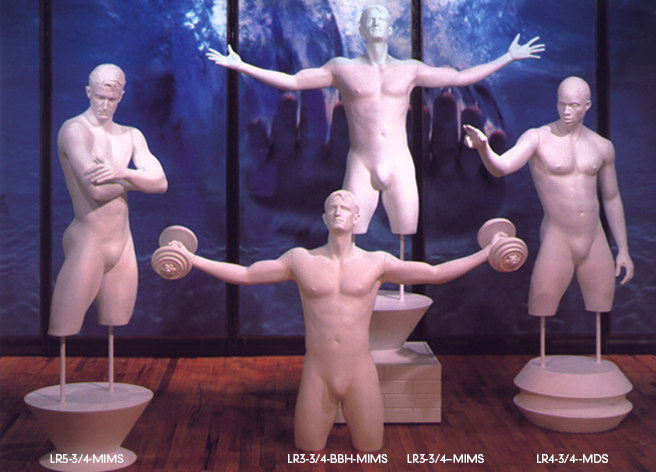 Shown with abstract heads, also available with realistic heads and headless.